Almost no Children in France Are Medicated For ADHD: This is How They Define & Treat it - ShareIt! According to official CDC reports, about 11% of American children in 2011 aged 4-17 have been diagnosed with ADHD. The number of ADHD cases are constantly on the rise, which has many doctors concerned. ADHD is a common mental disorder and is usually treated with prescription drugs in the USA, but this view isn’t shared by other countries around the world. Take France for example – scientists and doctors there diagnose ADHD in only 0.5% of cases (compared to about 15% in the USA), and never consider the disorder a biological problem. According to French doctors, ADHD is a result of situational and psycho-social factors, and classify it differently than their American colleagues. The system French doctors use to diagnose the disorder greatly differs from the American one, and actually forces doctors to find the underlying cause for ADHD and treat it psychopathologically instead of using drugs. French doctors consider ADHD a sociological disorder, while in the USA it’s a mental disorder. Many experts think that Big Pharma invented the condition just to sell their drugs, and an increasing number of scientists agree with that view. The behaviors associated with ADHD in children affect their abilities to perform in school, build healthy interpersonal relationships, and learn new tasks and information. In the United States, over 6% of children diagnosed with ADHD are prescribed medication to counteract its effects. The most common drugs prescribed to control ADHD behavior are Adderall and Ritalin. Adderall is an amphetamine—a stimulant chemical similar to the street drug “Ecstasy”. Its chemical structure is similar to adrenalin and the pleasure hormone dopamine. It works by stimulating the parts of the brain that produce euphoria and focus. Ritalin blocks certain neurotransmitters and increases production of dopamine and serotonin (another pleasure hormone) in the brain. Both of these drugs affect the central nervous system. Children as young as 3 years old are prescribed these brain-altering substances. How do they treat ADHD in France? Once a child is diagnosed with ADHD, French doctors immediately start looking for the underlying causes. They look at it as a social context issue and usually treat it with psychotherapy. They also consider the patient’s diet and investigate all the possible causes. According to latest studies, only 3.5% of French children have been diagnosed with ADHD. Dr. Marilyn Wedge is a well-known author who says that the different approach to treating ADHD is caused by the cultural difference between the two countries. French parents impose structured lifestyle to their children and teach them self-discipline, and avoid using the cry out method with babies. Spanking is pretty common in France as a discipline stimulation method and isn’t considered child abuse like in the USA. However, the effects of French ADHD treatments are mostly because of the holistic approach to the matter. 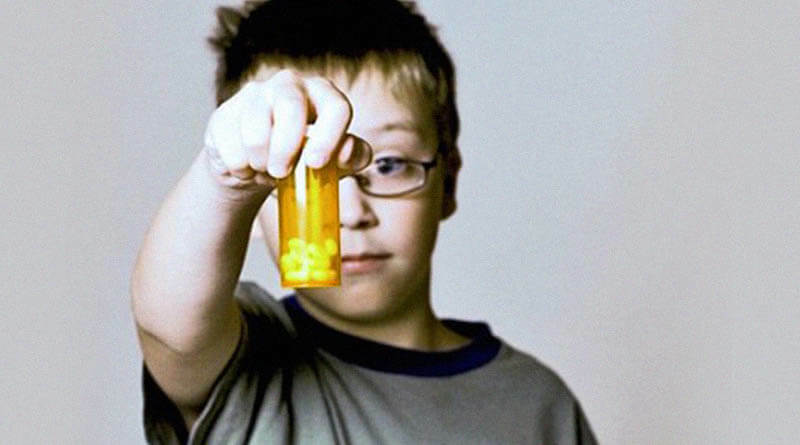 In the USA, Big Pharma actually dictates what ADHD is and how it can be treated. Most experts and common people believe what they read from studies made at prestigious universities such as Harvard, without being aware that the same studies have been funded by industry giants. The drugs used against ADHD are in the same groups as morphine and oxycodone and are actually pretty addictive and dangerous. Dr. Irwin Savodnik from the University in California says that almost the whole vocabulary of psychiatry is defined by Big Pharma. The ADHD drug campaign is another big factor for the increasing numbers of the condition. Parents believe the advertisements that ADHD drugs can improve test scores and school performance, so they give them to their babies. However, the reality is different, and we can actually learn a lot from the French method of treatment. Many American doctors think that ADHD can be treated with a holistic approach, but can’t speak out fearing their loss of license. Most of the guidelines for treatment of any mental disorders are biased, but they are still treated with drugs. Dr. Tyler Woods agrees with this view. “Anxiety disorder can be a result of normal or healthy anxiety, but experts treat it as a mental illness. Social phobia is another example of this, and doctors treat it with drugs as well,” he says. Many other doctors think that ADHD and other mental disorders can be treated with dietary and lifestyle changes as well as the introduction of certain nutrients into the patient’s diet such as zinc. The number of doctors who don’t believe Big Pharma anymore is growing and we need to support them.